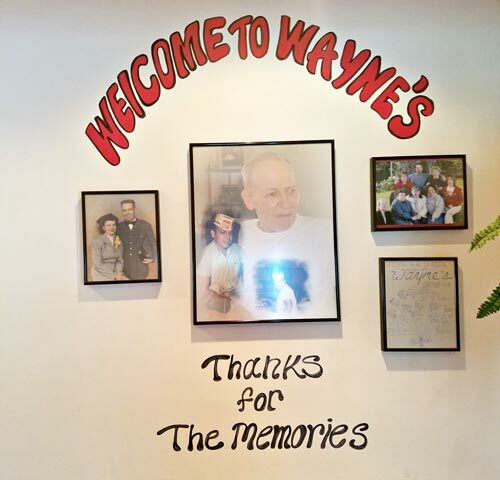 Wayne’s Snack Bar is a long time tradition in Newport Center. Opening as a drive in diner over 50 years ago, there is a special place in local hearts for this spot – the location of many dates, gatherings, and fun through the decades. Wayne’s daughter now owns and runs the snack bar, and it has become much more than the drive in of its origins. 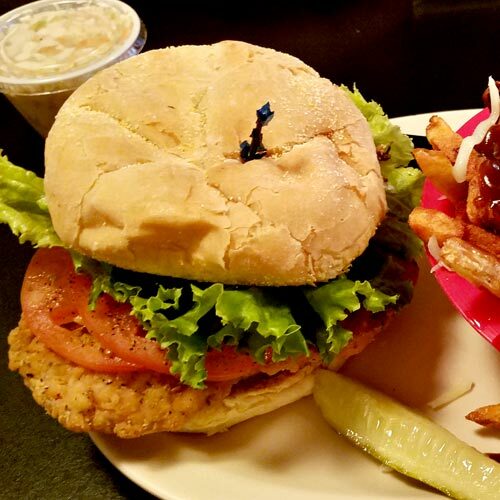 Now open year round, the menu features old time favorites like melts, burgers, fried chicken, and ice cream sodas. Everything is very affordable and from what we tried, cooked really well. Walking in you know you are in a snack bar/diner. A mix of tables and seating style, the vintage red, and the air of heavy use show that this restaurant has seen a lot of traffic. But, when we visited they were undergoing renovations, so I will have to go back to see what they do with the space. The service was pretty good. Our waitress was at our table quickly, and though it got a bit busy while we were there our food came out quickly and we had everything we needed. The owner, Cheryl, was also nice enough to talk to us and tell us a bit about the history of the business. Now, snack bar and diner food is often all pre-frozen, pre-packaged, and lacks any flavor but salt. That is not the case here. So I started with a Root Beer Float – something I haven’t had in years, nor have I seen on a restaurant menu locally. I wasn’t disappointed! It took me our entire visit to finish it, and it came with a little extra root beer to add as needed. For lunch, I ordered the chicken burger with a side of poutine. The poutine was made with house cut fries and covered in beef gravy. 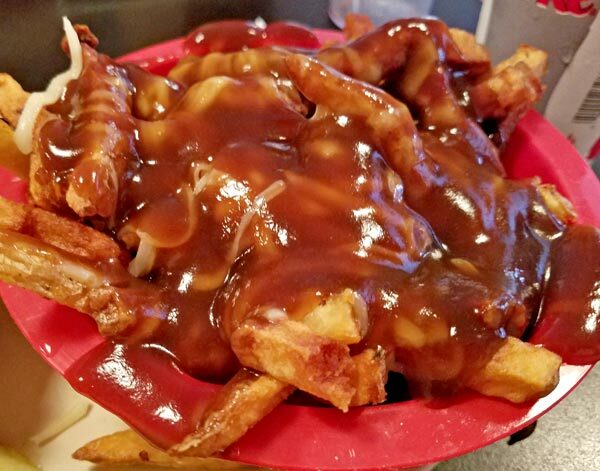 Locally, many of the poutines are made with chicken, turkey, or even pork gravy so it is good to know what you’re getting (I prefer beef gravy). Now, instead of cheese curd Wayne’s uses mozzarella cheese, but they sandwich it in between the hot fries before adding the gravy making sure it is nice and melted when it arrives – this was my favorite part. My chicken sandwich was cooked well, and was very happy to see a large amount of veggies topping it. I am often saddened by a lonely piece of lettuce topping my burgers and sandwiches. My husband ordered the fried chicken basket. 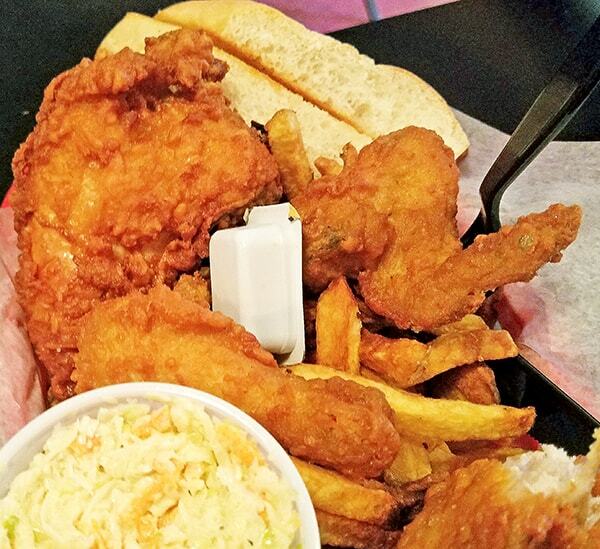 This came with four pieces of fried chicken – let me warn you, this is a lot of food as it comes with a side of fries, coleslaw, and bread. The chicken was crispy with flavorful batter, and the coleslaw (a pet peeve of my husband’s) was not just mayo, it was seasoned and enjoyable. Over all, I was pleasantly surprised by Wayne’s Snack Bar. I personally had never been there, and was expecting frozen diner food – but that was not the case. P.S. Wayne’s is also home to Cars of Yesteryear events for a real throwback experience.